Article and Photos by Dana Driscoll ! 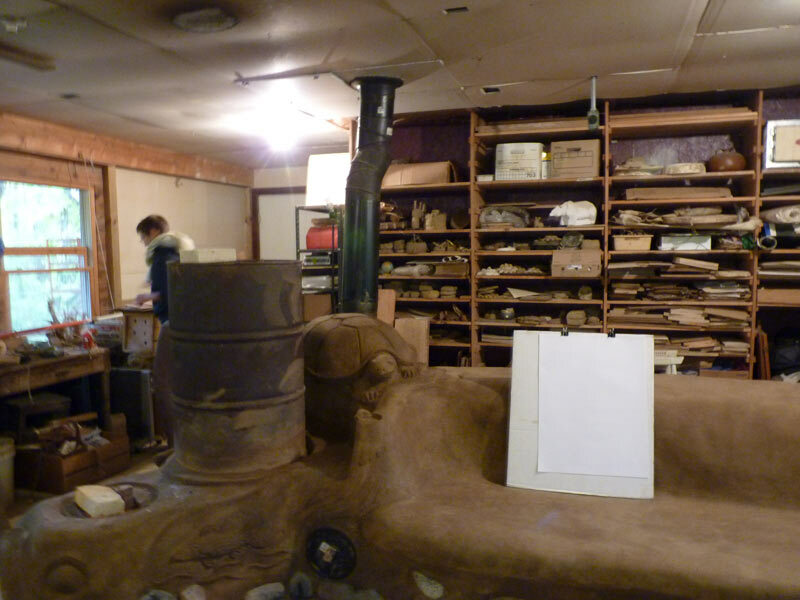 Earlier this week, I blogged about my visit to the Strawbale Studio. 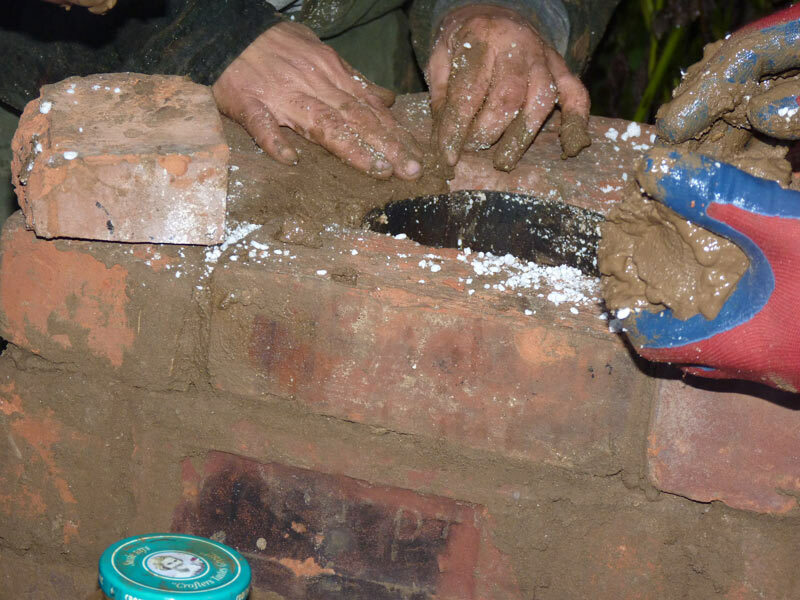 In this second Natural Building post, I’m going to talk about the rocket stove workshop itself. I’m quite excited about rocket stoves, because they use simple materials to create incredibly energy-efficient ways of cooking and heating. I took this workshop because we’ve been talking about building an outdoor kitchen. 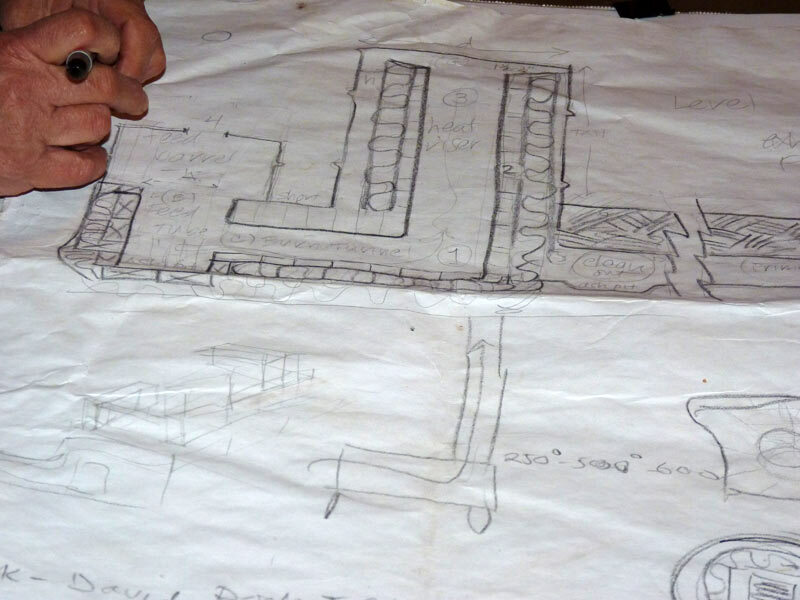 The plan next year is to build a rocket-stove cob baking oven and a rocket stove cooking oven. Should be quite cool! Rocket stoves can do a lot of things. Typically, they are being used for two things in natural building: heating spaces and/or people and cooking. 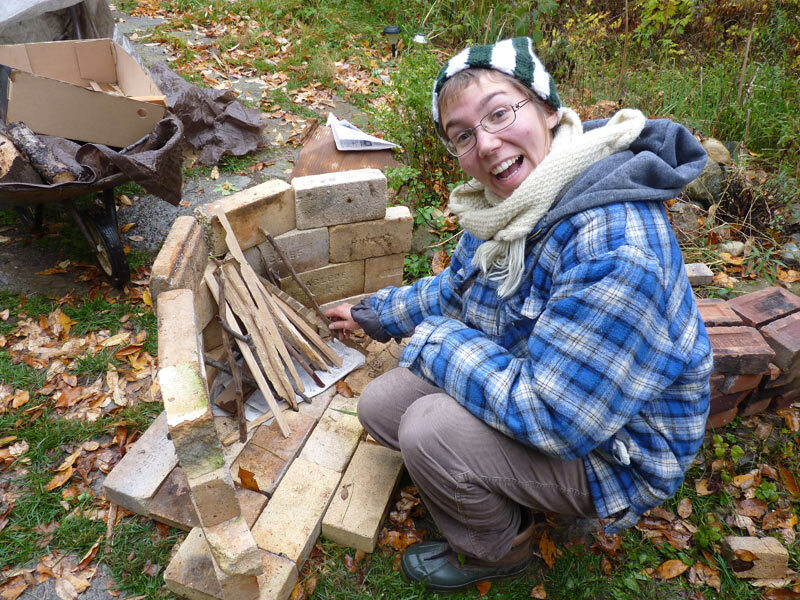 Deanne’s indoor rocket stove features a cob bench. 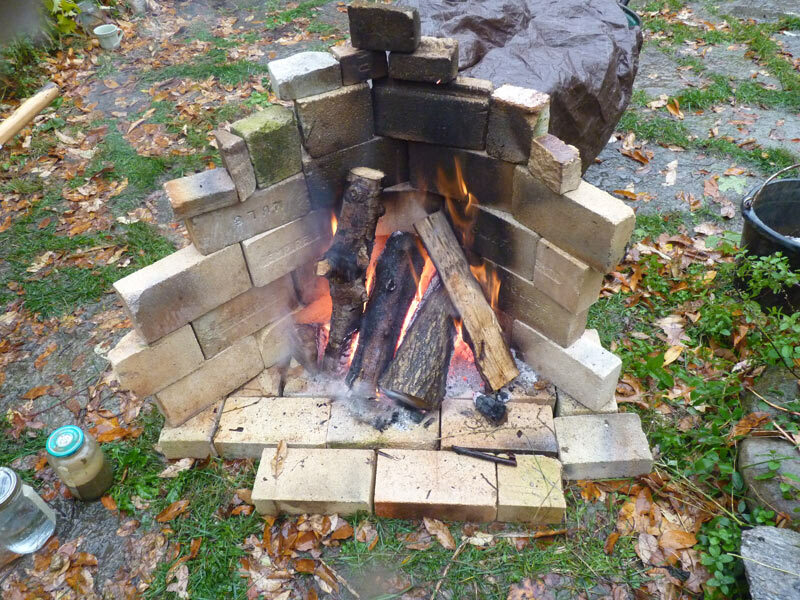 The bench heats up at 1″ per hour when the rocket stove is going, so if there is 4″ of cob (a sand/clay mixture), it will take four hours to get warm. 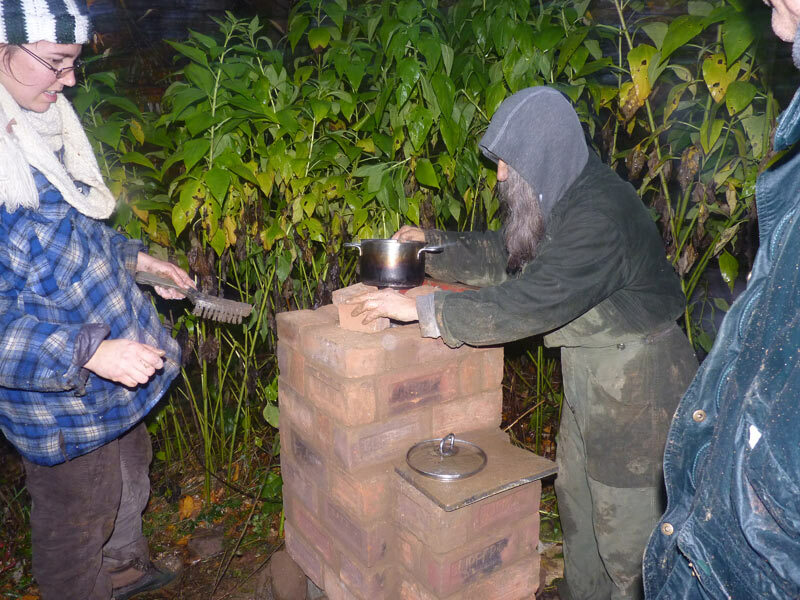 Deanne says this kind of rocket stove heating system is best for long-term heating. 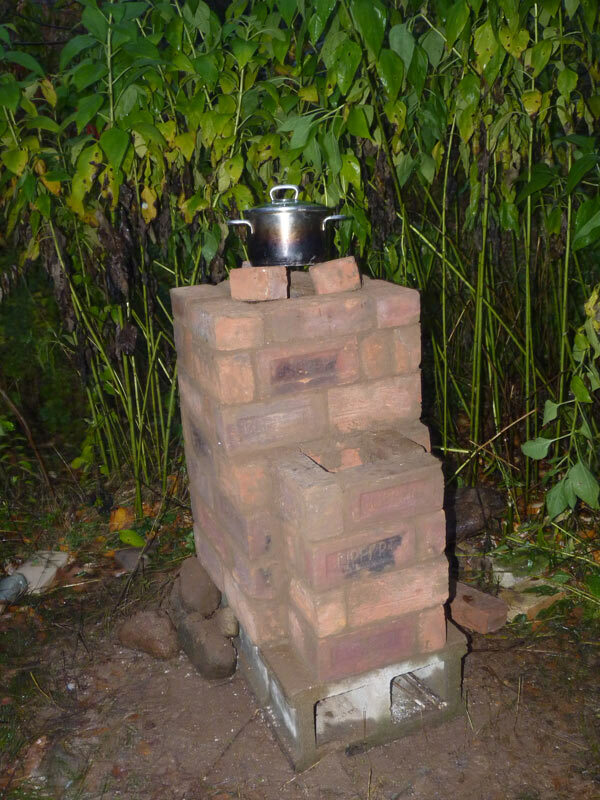 The basic principle of the rocket stove is that it uses a “J” shaped design to funnel heat through the stove system–the stove system can take many forms. 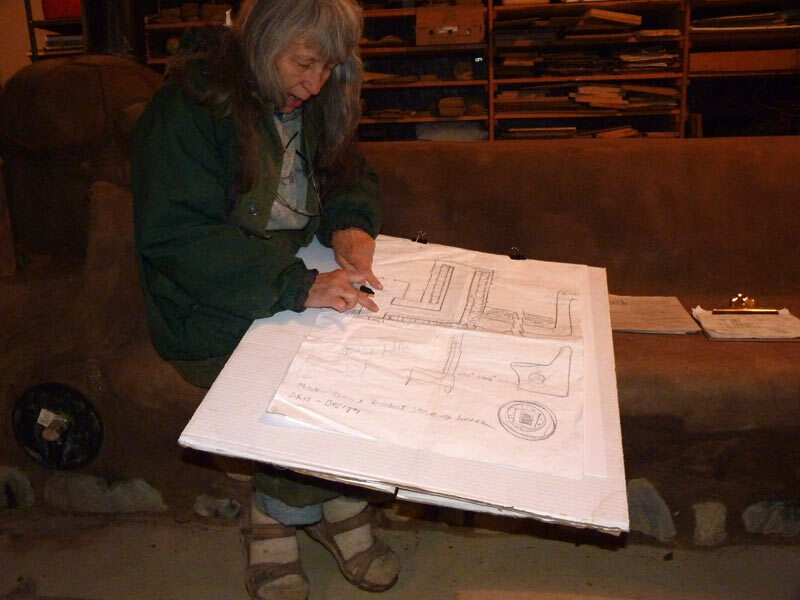 One form that Deanne has in-progress at the Strawbale Studio is a heating bench that goes the entire way around the natural building, so that people will warm up as they sit. 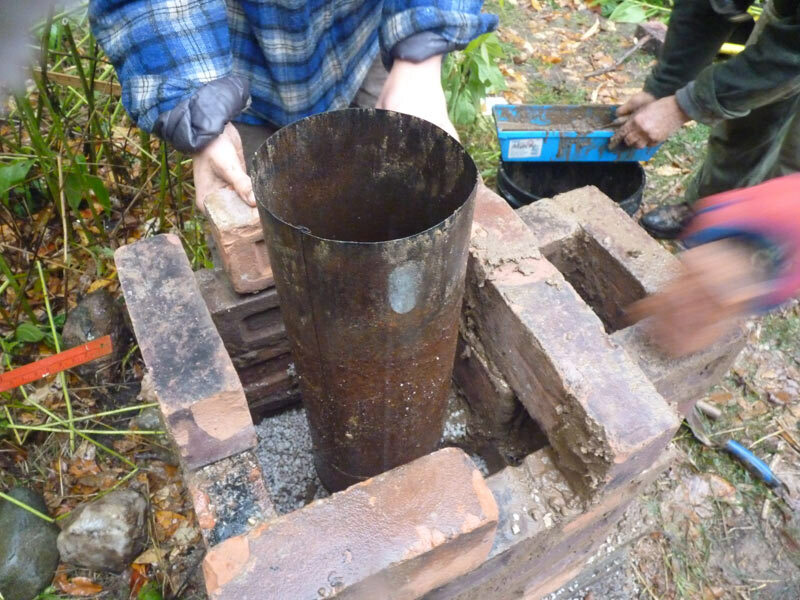 The above photo is a bare-bones rocket stove that Deanne had on the property. You can see the “J” shape made with bricks. This stove doesn’t have much insulation at all. But it gave us a good idea about what the inside of one of these could look like. Before we set to building our own fireplace, it was quite cold and a little rainy. So we decided we’d also build a “rumford” fireplace that reflected heat back to us as we worked. It was such a simple, elegant design–and it worked SO well in keeping us warm! I ended up tending the fire for a lot of the day, and worked to build a fire that would keep out the rain and protect the coals. Turns out, the rumford design is really good for that! Here’s our fire going strong, even in the pouring rain! So after building this quick stove, we set to work about 8′ away from it to build a cob-and-rocket cookstove. Step 1. 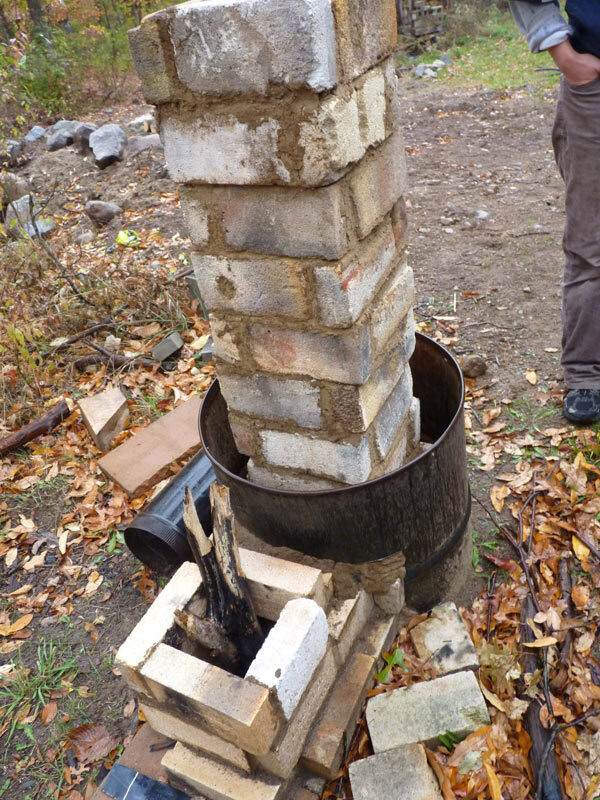 We began with mocking up what our rocket cookstove would look like using bricks. Deanne told us that the bricks are important–old, red bricks work fine. New red bricks are different and don’t work as well. You need something that can handle repeated heat-ups and cool downs and that is fire-resistant. 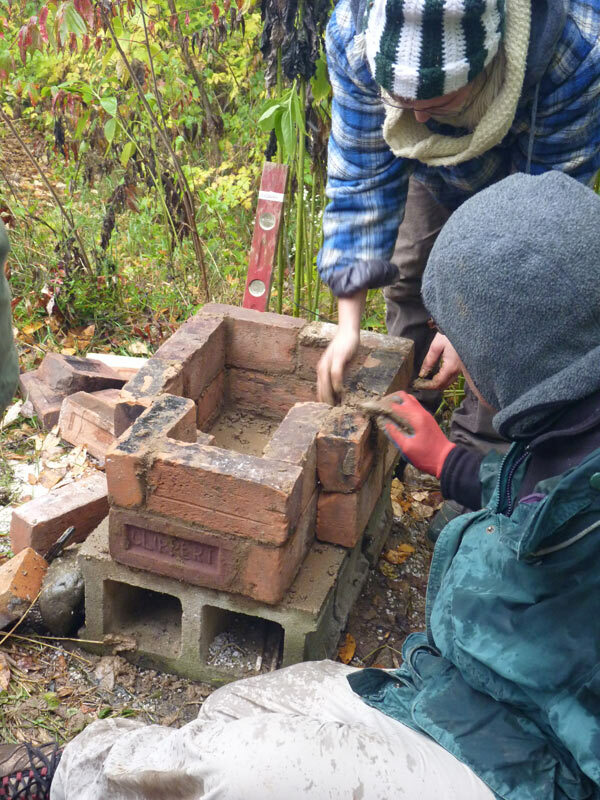 Step 2: After we were satisfied with our design, which consisted of a piece of fireplace pipe, insulation, and an outer layer of bricks with a cob mortar, we began the process of putting the stove together. The photo below shows us learning about brick laying! 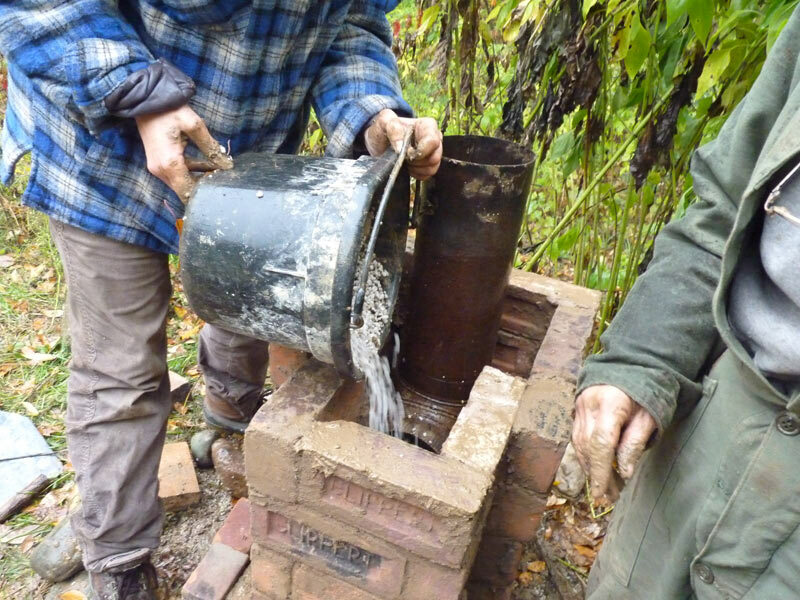 As we put the bricks into place, we dunked each brick in water, then added cob to the brick. Then we placed the bricks, tapping them into place. After tapping, we used a level to make sure that we were building level as we went–both vertically and horizontally. Step 3: Add in the pipe. 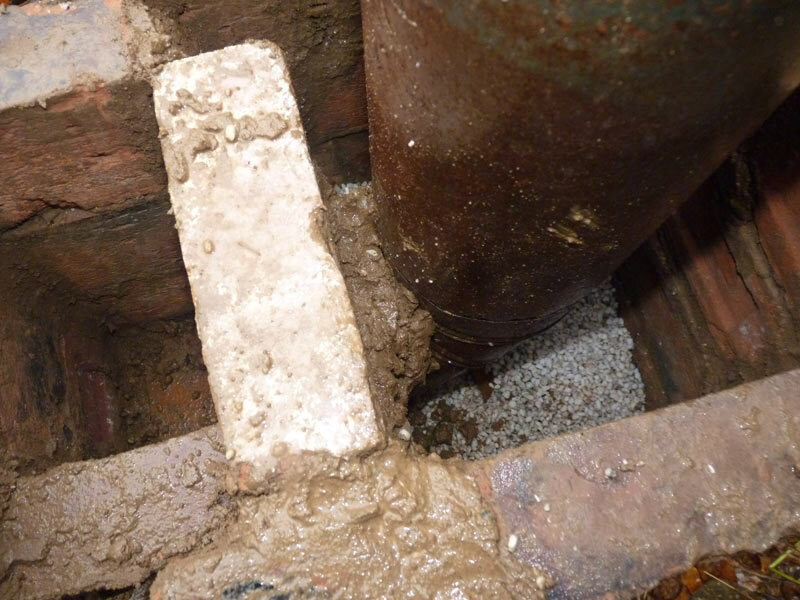 The photo below shows how we placed the pipe. Note the space around the pipe for our insulation (pearlite). All of those spaces were filled either with insulation or cob. Step 4: We added a bit of insulation to the bottom (even below where the logs are placed) and then continued to cob up around the pipe. 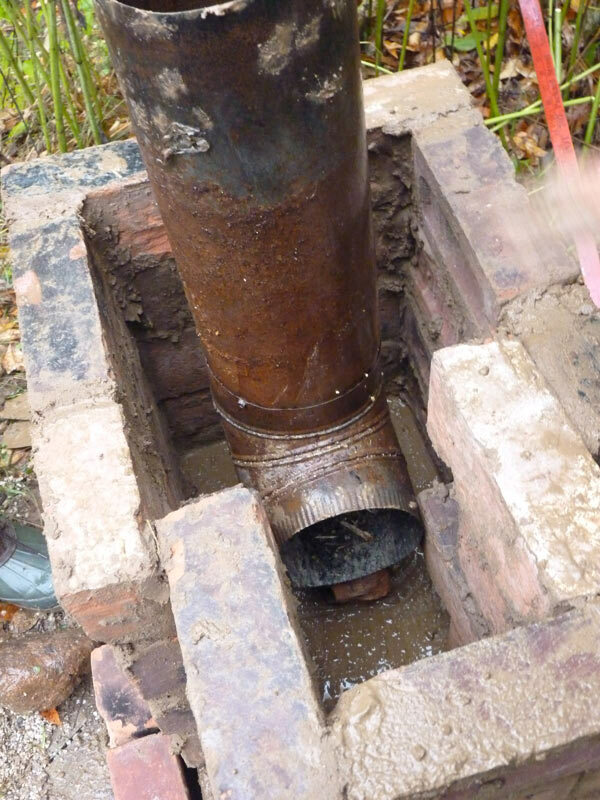 Eventually, we had built up enough cob to add a brick which held the pipe in place. You can see the cob is quite wet, but it still held together as we kept adding it! Step 5: At this stage, we added more bricks and more insulation. Deanne used something called Pearlite (which you can find at a hydroponics store) but she said any non-flammable, insluating thing would work. Wood ash works quite well, and that’s what we plan on using since we have a lot of it from our wood fireplace. Step 6: We finished the top of the stove with more cobb. This is the heating surface. You can’t just stic a pot on it though, you need a way for the heat to escape. So you can put three little stones around the top and sit a grill or a pot on it. Step 7: After we finished the stove, we had to do some stove cleaning. We took cob and patched up any cracks. We also used a wire brush across the bricks to get off any excess cob mortar. The completed stove! I can’t wait to see how it works! Every time I learn a new skill or area, I am reminded about how much knowledge we have lost and need to work to regain. We claim to live in the information age, but for all of the information we have, we can’t do simple things like grow crops or build ourselves an oven. Its exciting and necessary to learn these new skills as we seek to live in harmony and transition to a more sustainable world. I am looking forward to taking these skills and working on our outdoor kitchen project next year!